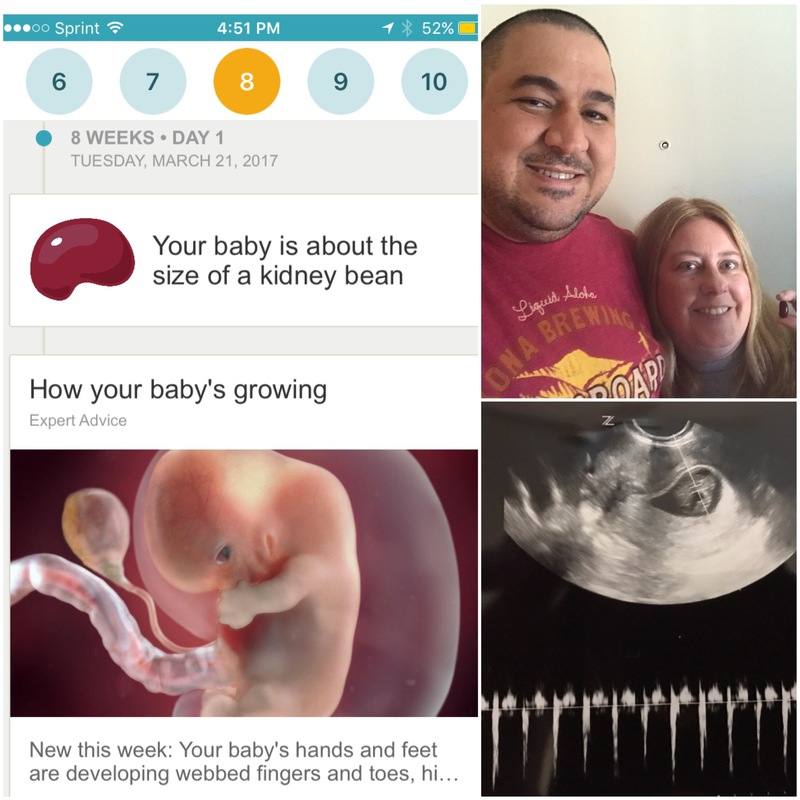 I made sure Matt and I had this week’s food, a kidney bean, when we shopped that weekend and after finding out baby was four days older as estimated by sonogram measurement by our doctor, we made that weeks one on Saturday. I tend to fall asleep early in the evenings so it was a surprise to me when our loud upstairs neighbor whom I’m nicknamed Stompy was so loud that he woke me up out of a deep sleep. I’m actually at least half grateful for this as I got to be awake for the moment our baby officially progressed from week eight to nine. 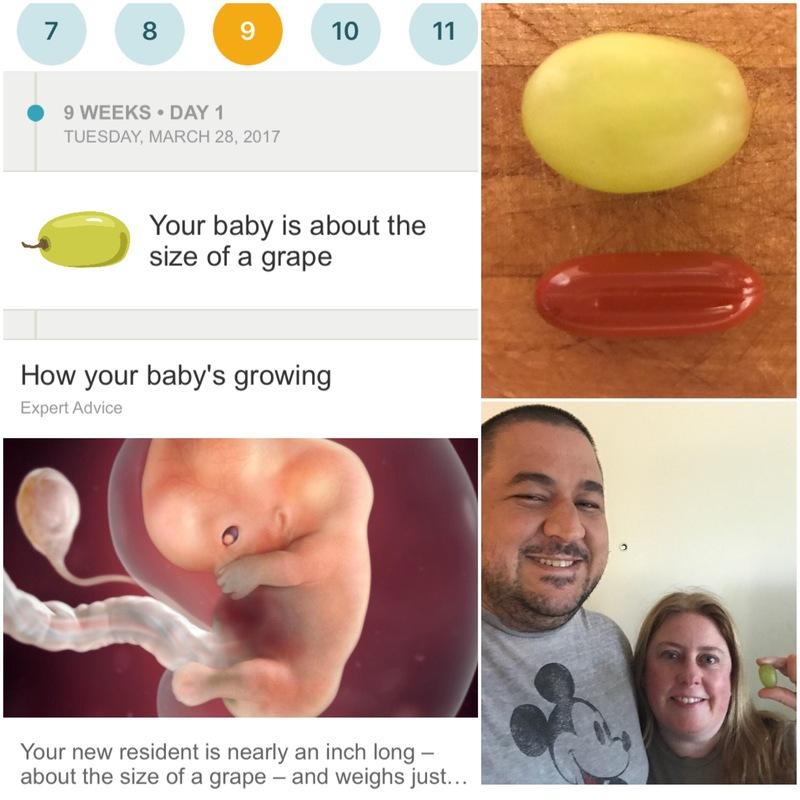 Week nine’s fruit Comparison is the grape, for size comparison I put the chosen grape up to a prenatal with DHA vitamin, the kind that I’ve been taking daily. I’m so in awe of the amazing changes my fetus is going through. While neither practical nor most likely safe, it would be amazing to have a sonogram each week. I’m eagerly awaiting a pregnancy day by day book scheduled to arrive today and will definitely be using it to educate myself and update my blog more. Yesterday I went to the Friends of the Library book sale at the Martin Luther King Jr. Library in San Jose. Many of the books I bought in their $5/bag sale are related to pregnancy and baby’s first year of life. I will definitely be writing about many of them here. I’m such a bookworm that if my time permitted I’d probably read dozens of pregnancy themed books in the upcoming months. 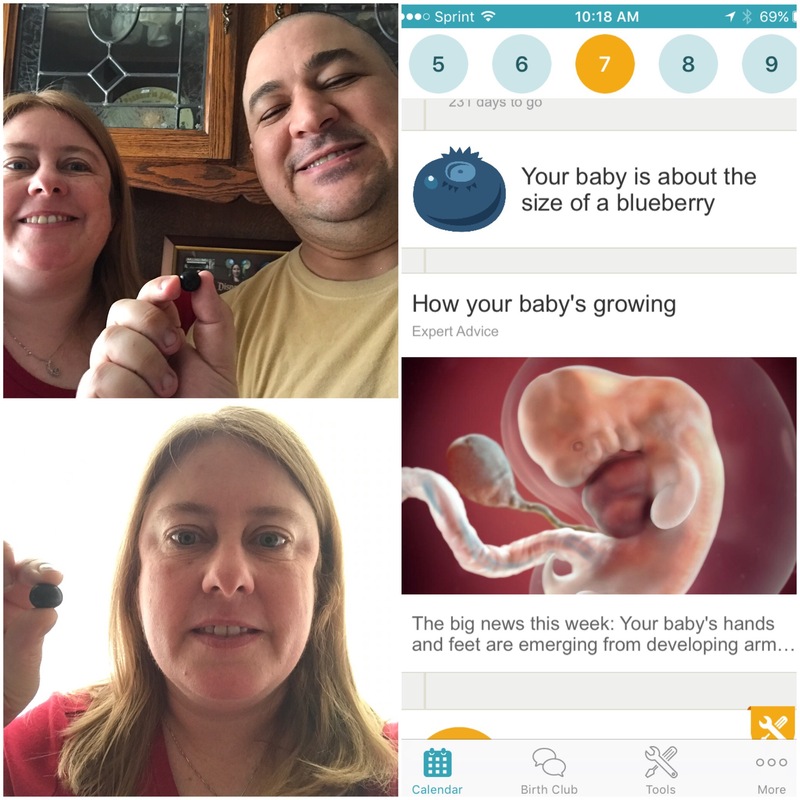 Previous Previous post: Our adventure so far!